Pawan Basaweshwar Lalsange Post Graduate Scholar, Dept. of PG Studies in Shalya Tantra, Muniyal Institute of Ayurveda Medical Sciences, Manipal, Karnataka, India. Rajneesh V Giri HOD & Professor, Dept. of PG Studies in Shalya Tantra, Muniyal Institute of Ayurveda Medical Sciences, Manipal, Karnataka, India. Prof. Naveen Chandra Senior Research Officer, S.D.M. Centre for Research in Ayurveda & Allied Sciences, Udupi, Karnataka, India. Leech application in various diseases shows remarkable results. Now in this scientific era the area of use of leeches is wide, sometimes the application of leech produces local as well as systemic infection. To rule out such complication and myths this study was conducted. The purpose of study is isolation of microorganism which cause such complication. LALSANGE, Pawan Basaweshwar; GIRI, Rajneesh V; CHANDRA, Prof. Naveen. EXPERIMENTAL STUDY ON DISSECTION OF GUT OF THE LEECH FOR ISOLATION OF MICROORGANISM PRESENT IN WESTERN GHAAT LEECH. 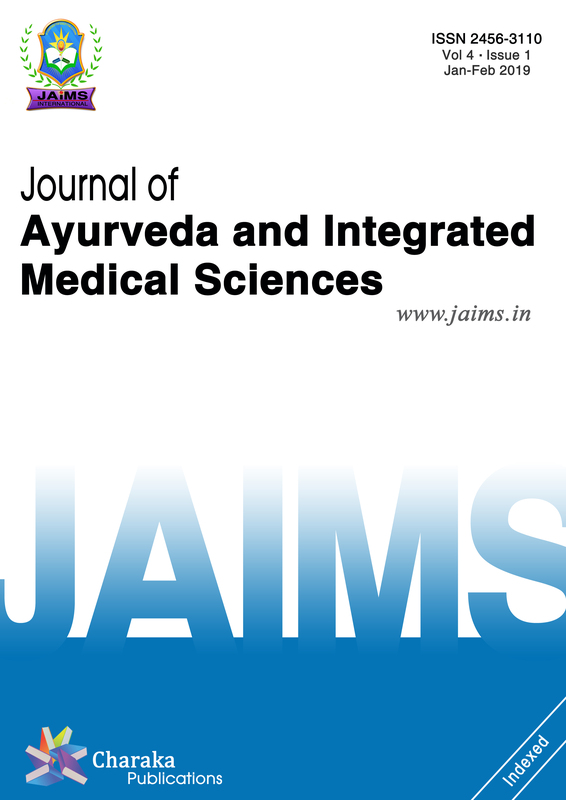 Journal of Ayurveda and Integrated Medical Sciences (ISSN 2456-3110), http://www.jaims.in/index.php/jaims/pages/view/Citation, v. 3, n. 4, p. 36 - 39, sep. 2018. ISSN 2456-3110. Available at: <https://jaims.in/index.php/jaims/article/view/635>. Date accessed: 25 apr. 2019. doi: https://doi.org/10.21760/jaims.v3i4.13281.